TIME TO CLEAN OUT YOUR CLOSETS! St. Ann’s Church, Avon will pick up our donations on Monday, 10/29. We are collecting gently used clothing (all seasons), shoes, handbags, accessories, jewelry, jackets and coats-infant/youth/teen clothing. There is a large collection box outside of the main office. 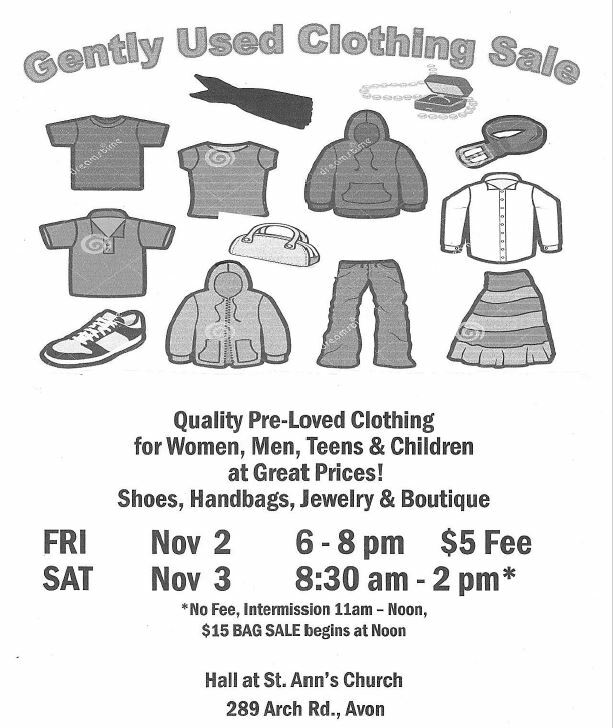 There is also the opportunity for you to attend the clothing sale! St. Paul is a proud recipient of the St. Ann’s Scholarship program providing scholarships to students who wish to attend a local Catholic High School.